Brendan Perry & Robin Guthrie in Montreal or Quebec City? Inform me about the next events for Brendan Perry & Robin Guthrie. Enroll yourself to our priority waiting list for Brendan Perry & Robin Guthrie to be alerted when new tickets are available. Filling this form doesn't engage you to any purchase. Brendan Perry & Robin Guthrie will be performing at Le National, in Montreal, on June 3rd, 2011. 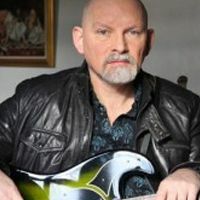 Brendan Perry has been performing solo since the disolution of his band Dead Can Dance. Robin Guthrie is well known for being one of the founding members of heavenly voices Scottish band Cocteau Twins.